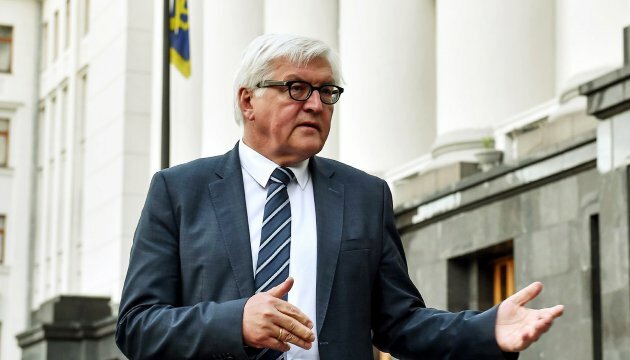 German Foreign Minister Frank-Walter Steinmeier sees good prospects for reducing tensions in the east of Ukraine. He stated this in Yekaterinburg on Monday during his speech to students, Sueddeutsche Zeitung reports. "I believe that we can settle the situation in Ukraine better and safer," the diplomat said, adding that he saw new opportunities for resolving political issues, including the law on elections in Donbas. The head of the German Foreign Ministry called on the Russian side to actively work upon the separatists. German and Russian ministers will discuss the situation in Ukraine and the Crimean crisis later on Monday during the bilateral meeting.